Nine officers from several departments of the Somali Police Force (SPF) participated in a week-long Train of Trainers course (24-30 March) organised by EUCAP Somalia Police Advisory Unit in cooperation with the African Union Mission in Somalia (AMISOM) in Mogadishu. The course aimed at organising presentations and training courses about specific topics. 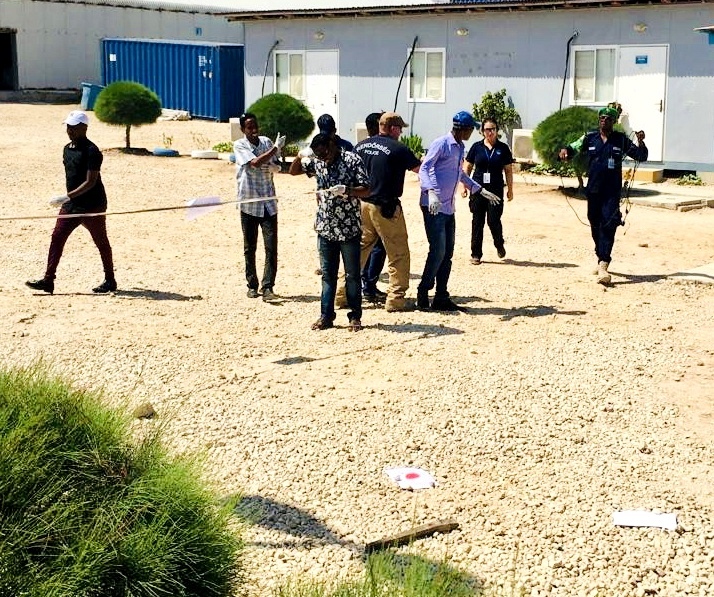 The course, structured with theoretical and practical sessions, included classes on how to recognise and be aware of Improvised Explosive Devices (IED) of different kind, Medical first Aid, Booby trap awareness, Body Search, Securing a Crime scene and Stop & Search car tactics. The topics were chosen in agreement with the Somali participants, keeping into consideration the most important challenges they face in their daily work. 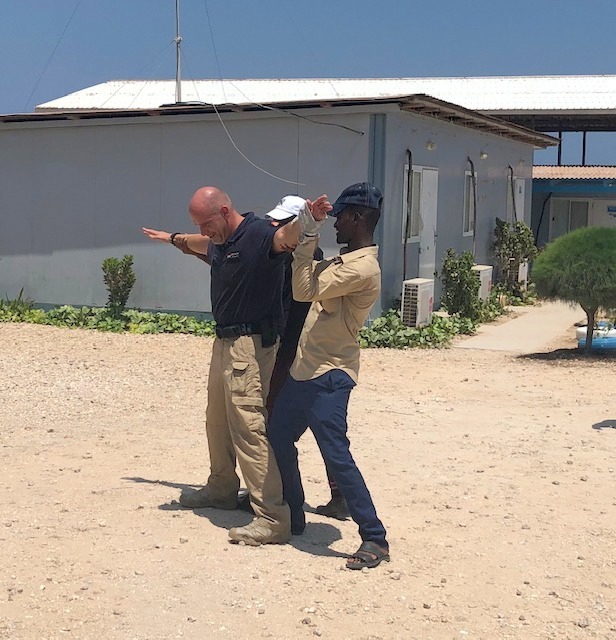 EUCAP Somalia Operational Capability Officer Cornelis Van Dijk, Senior Police Advisor Bence Balassa and Police Advisor Daniela Miteva trained the officers, along with AMISOM colleagues. The SPF officers attending the course come from departments such as the INTERPOL, the Criminal Investigations Department, the Explosive Ordinance Disposal Department, the Maritime Police Unit, the Traffic Unit and the Health department. “When reaching a crime scene you do not touch anything (…) You also need to handle people attending it, like politicians, the press and relatives of the victims (…) You start from taking pictures of the whole area, then you proceed to close ups” explained Inspector Roger Apio from the AMISOM Police Unit, one of the trainers, last Thursday, addressing the Somali Police Officers before inviting them to work on a staged crime scene involving a murder. “I knew most of the topics we touched upon during the course due to my job at the INTERPOL, however now I know how to train my colleagues. As soon as I finish I will organise my own course and I will use the presentations we will be receiving as a tool” said Ayub, a 27 years old officer working in the INTERPOL unit of the Somali Police. Ayub moved back to Somalia from London, UK, where he grew up, in 2013. He studied Business at the Waltham Forest College in London. He decided to come back to Somalia as he wanted to “bring his knowledge and experience” to his country. The young Somali officer said he enjoyed working with his international colleagues. He particularly mentioned the daily work done by the Mission at INTERPOL in Mogadishu. “To conduct a ToT course like this is always an inspiring challenge. 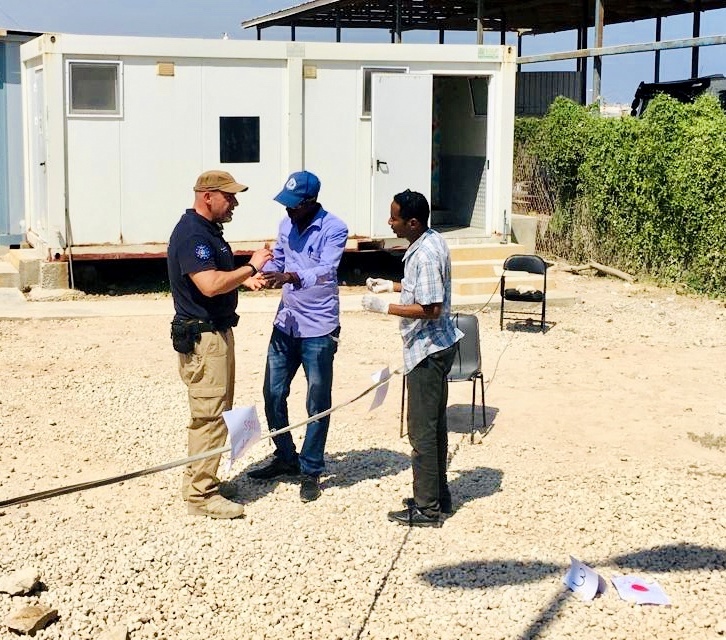 It is a two-way learning process and is a robust and essential contribution to the local ownership and professional future vision of the Somali Police Force.” said EUCAP-Somalia Senior Police Adviser Bence Balassa. 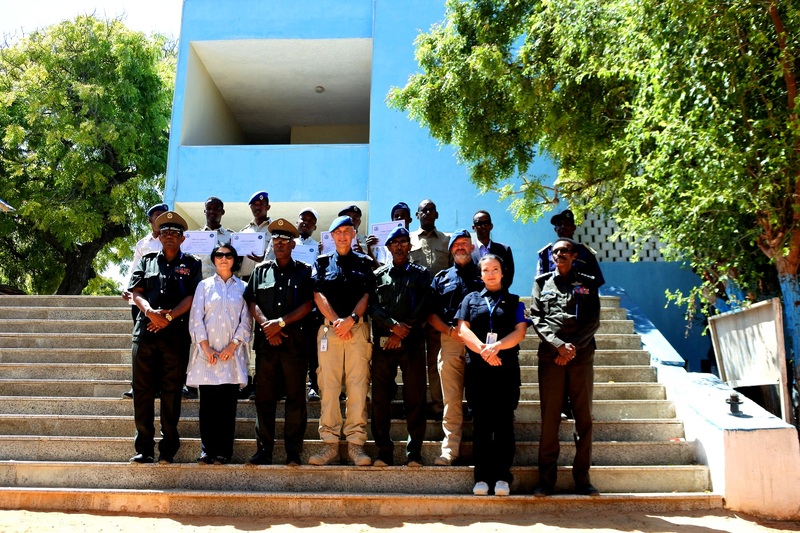 “To me, the most valuable outcome of this training was seeing this diversity of people at different age, background and experience, leaving all differences behind, sitting together united by the law enforcement principles, building their relations and planning their future joint activities for the sake of safer Somalia”, said EUCAP-Somalia Police Adviser Daniela Miteva. After the conclusion of the course activities a closing ceremony was organised at the Police Academy in Mogadishu on March 31st. EUCAP Somalia Head of Mission Maria-Cristina Stepanescu and the SPF Commissioner General Bashir took part in the event. On that occasion the participants received their attendance certificates. 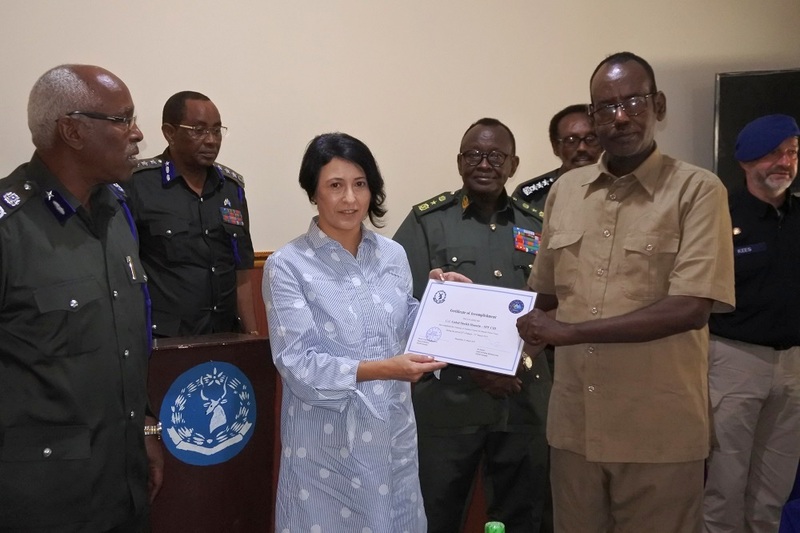 “I salute the successful unfolding of a training course aiming at further enhancing the ability of the Somali Police to conduct their daily duty, despite the constant challenges and dangers”, said Ms Stepanescu addressing colleagues and trainees. General Bashir also expressed his appreciation for the course, as well as the partnership with the EU and the international community.